"The whole team at Land Rover BAR is totally committed to bringing the Louis Vuitton America's Cup home." 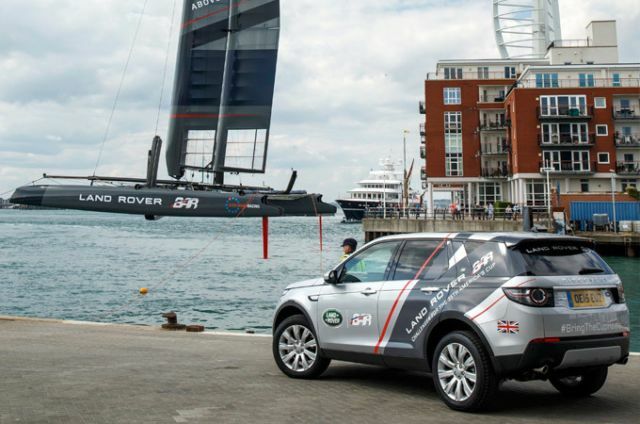 In July 2015, Land Rover announced it would become both Title and Exclusive Innovation Partner to Ben Ainslie Racing (BAR). Land Rover BAR will challenge for the 35th Louis Vuitton America's Cup in 2017 aiming to bring the cup home to the UK for the first time in the race's 166 year history. 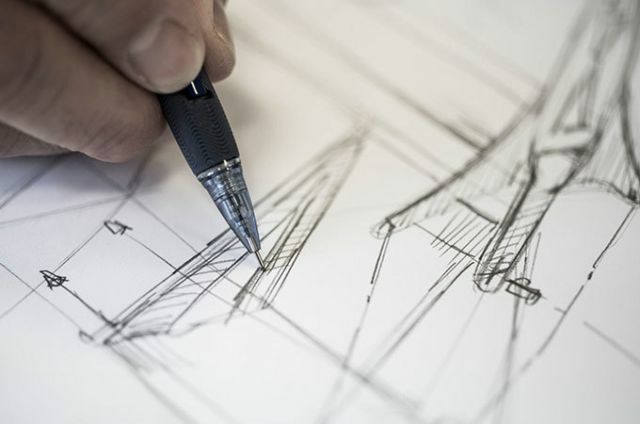 The goal is to design a boat capable of winning the Louis Vuitton America’s Cup for Land Rover BAR, pushing technological boundaries, and advancing Land Rover engineering to benefit future product development. 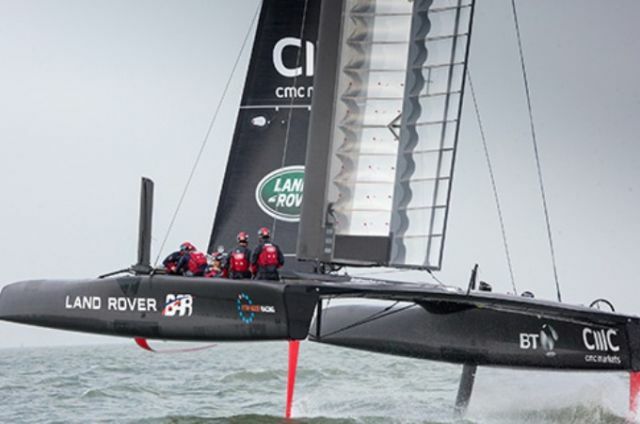 With daggerboards to lift the catamaran clear of the water for speed, and wings instead of sails, the America's Cup Class boat has been described as 'a fighter jet on water'. The most successful Olympic sailor ever, Ben Ainslie led the Oracle Team USA team to victory in the 34th America’s Cup in 2013. 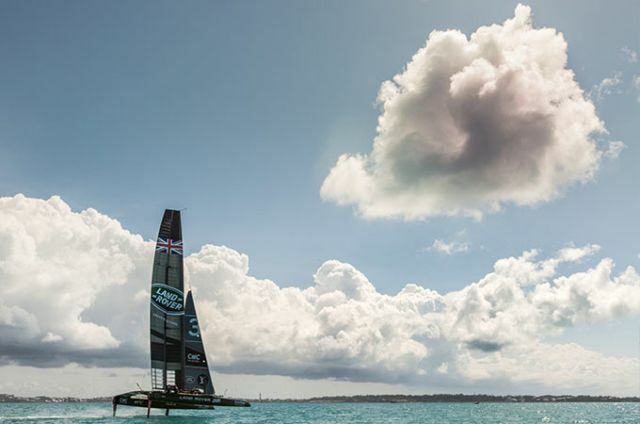 Launching Ben Ainslie Racing (BAR) in 2014 – renamed Land Rover BAR in 2015 – Ainslie’s goal is to bring the America’s Cup back to Britain for the first time ever – where it all began in 1851. 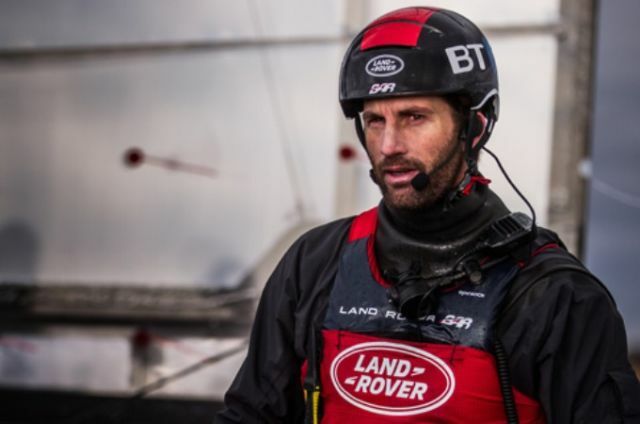 A three-times America’s Cup winner, Jonathan ‘Jono’ Macbeth is the most experienced America’s Cup sailor in the Land Rover BAR team. Macbeth’s Cup career started with Team New Zealand in 1997 before winning the 31st America’s Cup in 2000. 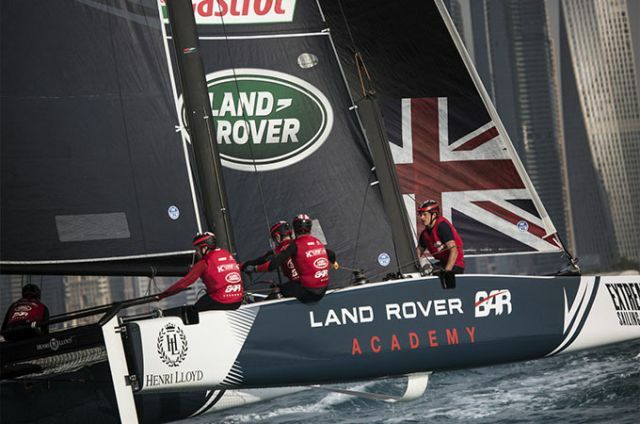 Now Land Rover BAR Sailing Team Manager, he retains an active role on-board. Son of an America’s Cup and Whitbread Race veteran, Ed Powys, has successfully risen through the British sailing ranks since first taking to the water aged seven. An Industrial Design graduate, Powys took his chance on board the Land Rover BAR boat after stepping in for Giles Scott to help the team win the Portsmouth World Series regatta last year. A versatile sailor with a strong background in both mono and multihull racing, Paul Campbell-James brings advanced technical ability to Land Rover BAR. He was helmsman with the Luna Rossa Challenge during the 2012/13 America’s Cup World Series, and held a reserve role for the team’s 34th America’s Cup campaign. 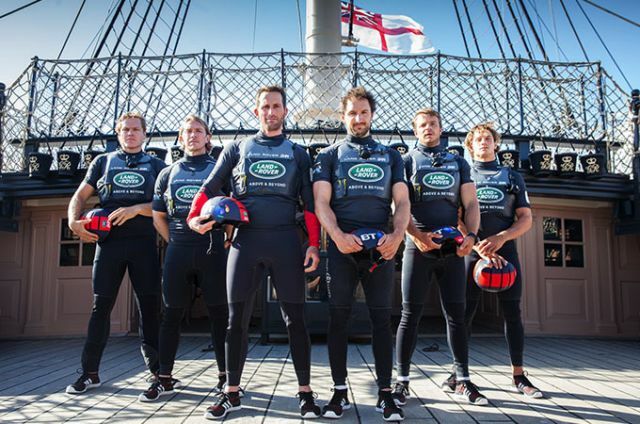 Devon-born Nick Hutton brings extensive multi-hull racing expertise to the Land Rover BAR team. His America’s Cup experience includes bowman with the Italian America’s Cup entry, Luna Rossa Challenge, winning the 2012/13 ACWS and finishing runners up in the Louis Vuitton Cup – the 30th anniversary of the event. New Zealander Andrew "Animal" McLean is an experienced inshore and offshore racer. He has campaigned three times for the America’s Cup - twice for his home country New Zealand. 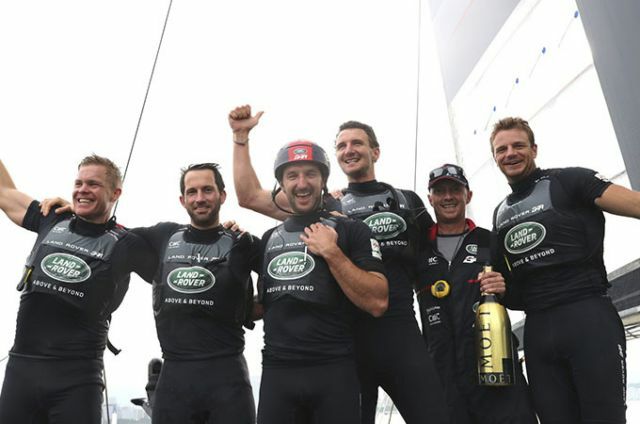 A qualified mechanical engineer, Andrew was also part of the winning 2007 Louis Vuitton Cup team with fellow New Zealander and Land Rover BAR teammates, Jono Macbeth and Ben Ainslie. Andrew also plays a vital role in the Land Rover BAR team as Team Leader of Systems Engineering. Leigh McMillan has been one of the world’s top multihull sailors for the last decade. 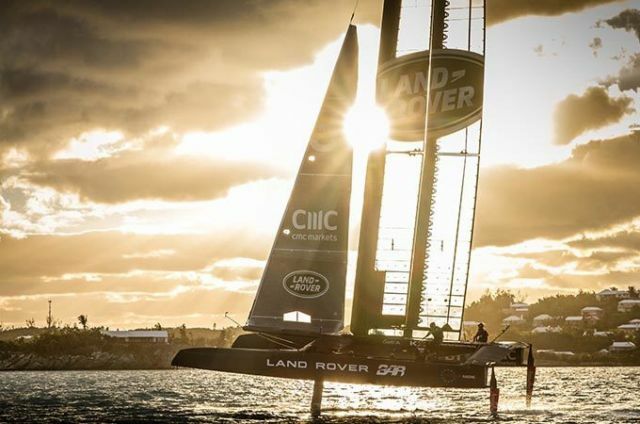 With two appearances for Team GB at the Olympic Games in 2004 and 2008, his ability to win consistently made him the obvious choice to join Land Rover BAR, as multihulls were introduced to the America’s Cup in 2010. Matt Cornwell has campaigned for two America’s Cups; with Areva Challenge in 2007 and GBR challenge in 2003. Two-time America’s Cup campaigner, Cornwell, brings a huge wealth of mono-hull, multi-hull, fleet and match racing experience to the team. 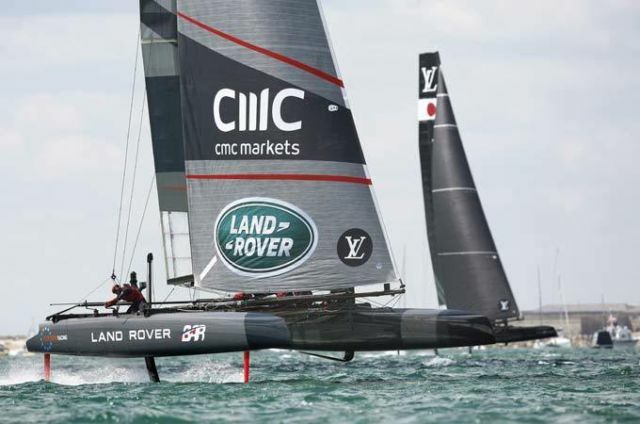 He was part of the winning 2010 World Match Racing Championship team with Ainslie. 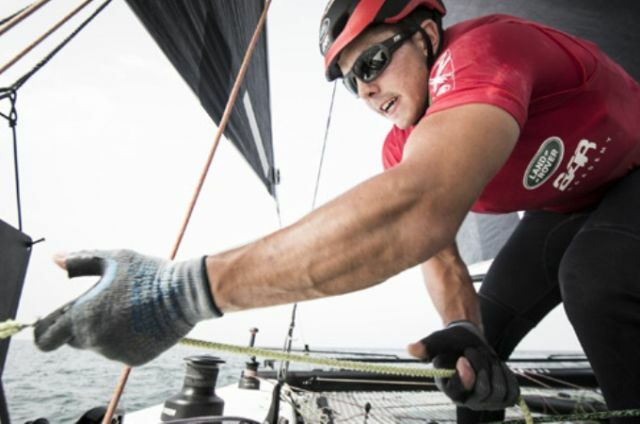 Xabi Fernandez began sailing at the age of seven, inspired by his parents. His first boat was an Optimist, before moving into the Vaurien double-handed junior dinghy with his brother until he was 17. After that he moved into the Olympic 470 for a while, before joining Iker Martinez in the Olympic 49er in 1998. It was this boat that allowed Fernandez to make the jump to a professional sailing career, after winning world championships and Olympic gold. Bleddyn was born in Bangor and started sailing at an early age from Traeth Bychan on Anglesey; initially with his brothers in Mirrors before moving on to a Topper. In his teenage years, he became a World and European medallist in the 29er. Since then, Bleddyn has studied Mechanical Engineering Aerospace at the University of Southampton, which included a 12-month industrial placement with the Red Bull Formula 1 team as part of the Aerodynamic Development Group. Martin Whitmarsh is CEO for Land Rover BAR, a position that he formerly held with the McLaren Group. Whitmarsh studied engineering at Portsmouth University, BAR’s home port, before starting his career at BAE Systems’ Hamble facility. By 1997 Martin was Managing Director of the McLaren Formula One team, eventually rising to CEO of McLaren Racing, where he steered the team to multiple F1 Championship titles. Cambridge & Harvard graduate, Richard Hopkirk, is one of the world’s foremost performance engineers. At McLaren Racing, Hopkirk was Lewis Hamilton’s Race Team Tactician, but it was his work at McLaren where he took the P1 Hybrid engineering program from initial ideas to worldwide consumer use that Hopkirk’s world class engineering talents truly were on show. Hopkirk has coordinated a team of designers and engineers to help to build the British Challenger’s America’s Cup Finals boat. Mauricio Muñoz is part of the Self Learning Car team and is one of many young talented Jaguar Land Rover engineers lending their expertise to the Land Rover BAR design team. After graduating from university in Germany, completing a Masters in software engineering and machine learning at MIT in Boston, he was recruited directly into Jaguar Land Rover’s Advanced Engineering Team. Land Rover BAR’s striking headquarters opened on the Camber at Portsmouth in 2015. Designed by HGP Architects, responsible for Portsmouth’s iconic Spinnaker Tower, the new sustainable building is an inspiring design, technology & high performance base for Sir Ben Ainslie and his team. Join the Land Rover BAR Academy crew in the midst of action during an Extreme Sailing Series race in Cardiff. Experience the thrill of flying across the water in a hydro-foiling catamaran with an exciting new angle on the fast paced sport of sailing. The Land Rover BAR fleet share the same name – Rita. The name dates back to 1992, when Ben Ainslie’s mother sewed a badge of St Rita into his lifejacket. St Rita is patron saint of impossible dreams and, in 1992, becoming the most successful Olympic sailor ever must have seemed an impossible dream. Foiling catarmarans are constructed with twin hulls, joined by cross members and a 'trampoline' platform. The rig is the mast, the wing (in place of sails), the jib, a smaller sail in front of the mast, and the cables that hold it in place. The daggerboard, a removable centreboard that can be lowered into the water, and rudders on each hull controlled by a tiller, provide stability. The hydrofoils lift the hull clear of the water at speed. The AC45f uses a wing sail in place of a conventional sail. This is exactly what it say it is — a wing, just like an aeroplane and at 21.5metres/70.5ft tall roughly the length of a Boeing 737’s wing. It has two distinct sections, and each can be controlled independently. When the boat is travelling at 90 km/h — creating its own ‘apparent wind’ — the wing is generating around 100bhp. Each hull features a manually-deployed daggerboard that bends through over 90 degrees to form a hydrofoil. At speeds of around 12knots (14mph) the force of the water (up to 1000 times more dense than air) over the foil creates lift, enough to lift the entire weight of the boat — 1320kg plus crew — clear of the water, reducing drag four-fold and dramatically increasing the boat’s efficiency and therefore speed. Land Rover's advanced engineering teams at Gaydon, Whitley and Warwick University identified three innovation projects where they could collaborate on the boat's design - wings, controls and performance/stability. The America's Cup Class boats use solid fixed wings instead of sails - optimised aerodynamically using advanced computational fluid dynamics to maximise power and speed. The innovative wing sails and daggerboards that help lift the boat's hull clear of the water are controlled by hydraulics in place of sheets (ropes) and powered by the crew. Land Rover's human machine interface expertise is improving the efficiency of power generation. 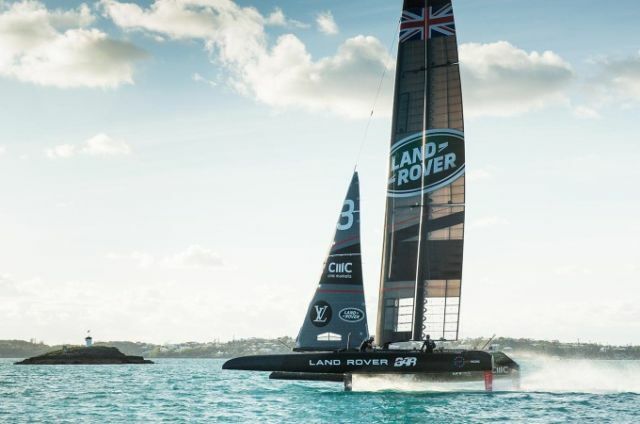 Land Rover has lent its advanced 'machine learning' (an elementary form of Artificial Intelligence) and capabilities expertise to help Land Rover BAR process F1-levels of performance data generated by its test boats. It is vital that the foiling boats remain as stable as possible at high speeds. What’s the secret to winning the America’s Cup? Performance engineer Mauricio Munoz explains how Land Rover is applying its expertise in artificial intelligence. The team analyses formulas and creates technologies to advance the engineering capabilities of Land Rover BAR. There’s a shared passion to become faster – to stay one step ahead of the competition. At the heart of this, is our new carbon fibre wing. In order to win one of the toughest challenges in international sport, marginal gains need to be discovered and maximised. The Land Rover BAR team talks about how our partnership boosts the overall technical design team to get the very best from their vessel. Jaguar Land Rover’s Head of Research & Advanced Systems Engineering, Tony Harper, gives us some insights into the reasons Land Rover’s expertise and capabilities have been brought to the team. It’s all about understanding key components and optimising them for racing conditions. The America's Cup trophy, known affectionately as 'the Auld Mug', has never been won by a British team, in spite of the race originating off the Isle of Wight in 1851. Land Rover BAR will race in the 35th Louis Vuitton America's Cup in Bermuda in 2017, aiming to bring the trophy home at last. The America’s Cup is the oldest international sporting trophy in the world. First awarded to the winner of a single Round the Isle race organised by The Royal Yacht Squadron in 1851, it was won by the sole US entry, the schooner ‘America’ and the cup was renamed in its honour. Boats sailing under the banner of The New York Yacht Club successfully defended the Cup against all challenges for the next 132 years, until the Australian team won in 1983. Now Land Rover BAR aims to bring the Auld Mug home for the first time. 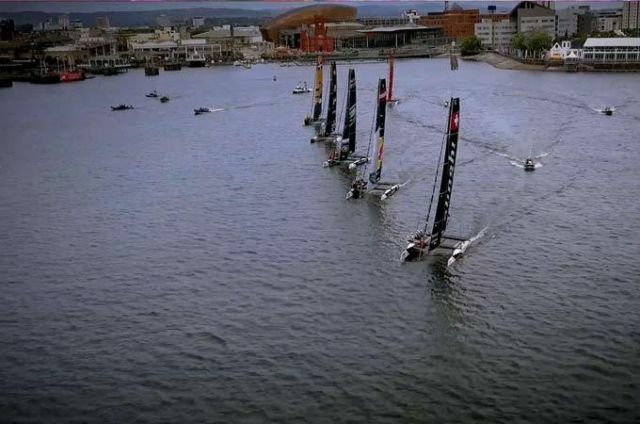 In 2013 the strongest challengers New Zealand found a loophole which allowed them to adapt their 72ft catamaran’s daggerboards into hydrodynamic foils allowing their boat to ‘fly’ out of the water. 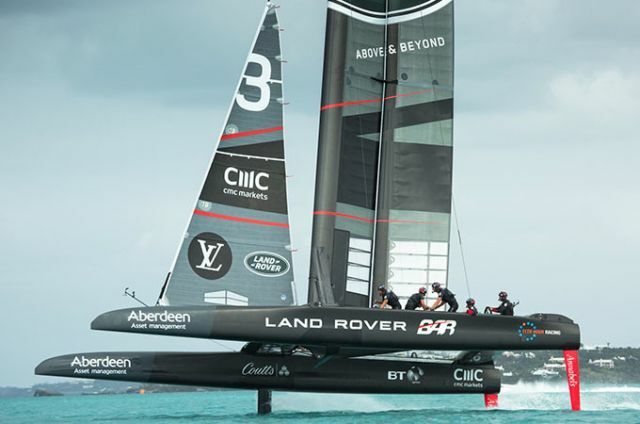 ‘Foiling’ had not previously been seen on a boat close to the size of their 2013 America’s Cup entrant. 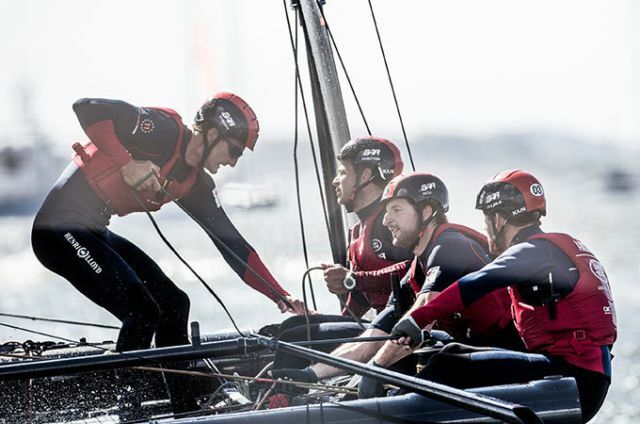 In 2013, Oracle Team USA won against the odds, with Ben Ainslie at the helm. Afterwards, he returned to Britain to found Land Rover BAR and mount a very British challenge to the historically US-dominated race. All six teams race head-to-head against each other twice in the Challenger Series. 1 point is awarded for each victory with a total of 10 points available. 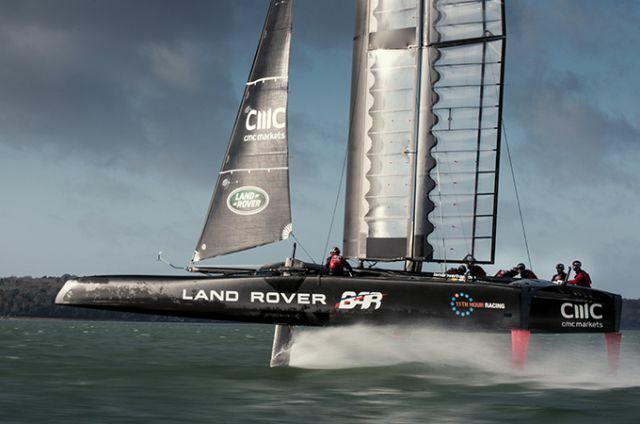 Land Rover BAR have already secured 2 points having won the America’s Cup World Series. Four teams will progress to the play-offs – competing in a semi-final and final format - with the winner progressing to face current holders Team Oracle USA in the Match Race. The winner of the play-off final will challenge current holders Team Oracle USA to battle it out for the 35th America’s Cup. The format for the Match Race is a head-to-head competition with 1 point awarded for each race win. The first to 7 points will be crowned as the Louis Vuitton 35th America’s Cup champions. 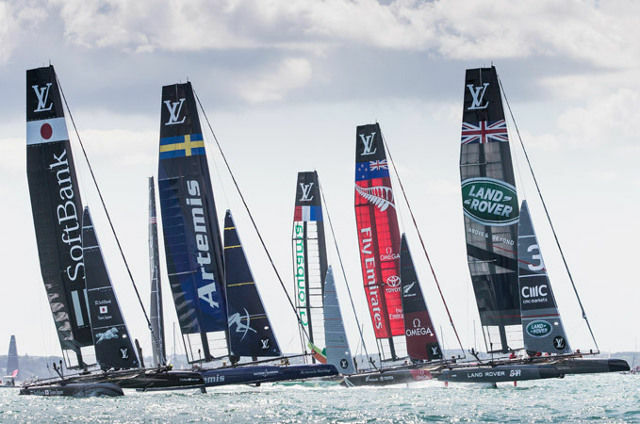 In the lead up to the America’s Cup in Bermuda in 2017 all six teams — Oracle Team USA plus five challengers – Emirates Team New Zealand, Artemis Racing, Softbank Team Japan, Groupama Team France and Land Rover BAR — collect points in the Louis Vuitton America’s Cup World Series (ACWS) events across 2015 and 2016. 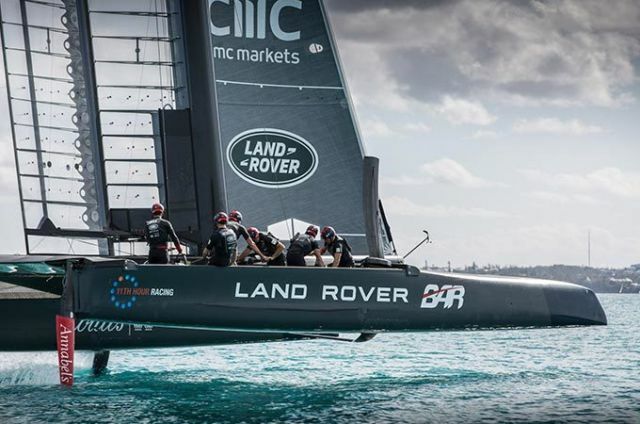 Land Rover BAR emerged victorious as champions of the Louis Vuitton America’s Cup World Series. Victories in back-to-back Portsmouth regattas, Oman and the final round in Fukuoka helped the British challengers secure two crucial points for the 2017 Challenger Series in Bermuda. Land Rover is proud to announce that we have renewed our backing as Title and Exclusive Innovation Partner to Land Rover BAR. Download the Jaunt VR app to go Above and Beyond and experience the exhilaration of flying on-board Land Rover BAR’s R1 racing machine in immersive virtual reality. Land Rover has combined technology from the new Discovery with unique personalization features to help Sir Ben Ainslie drive Land Rover BAR’s America’s Cup campaign in Bermuda. 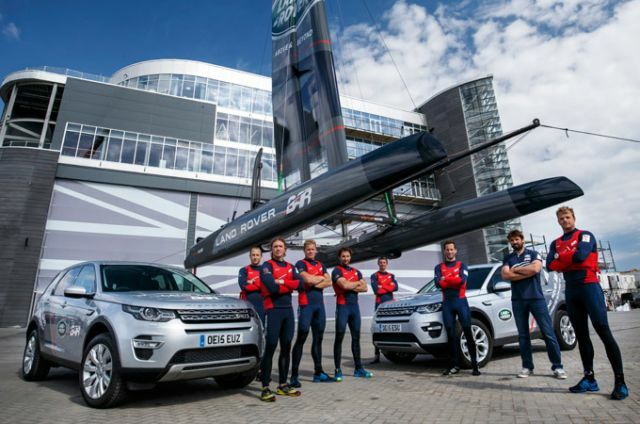 Land Rover BAR have launched the boat they believe will make sailing history. One of the fastest, most technically advanced craft on the water has been developed with Jaguar Land Rover engineers with one aim: to win the world's oldest sporting trophy. 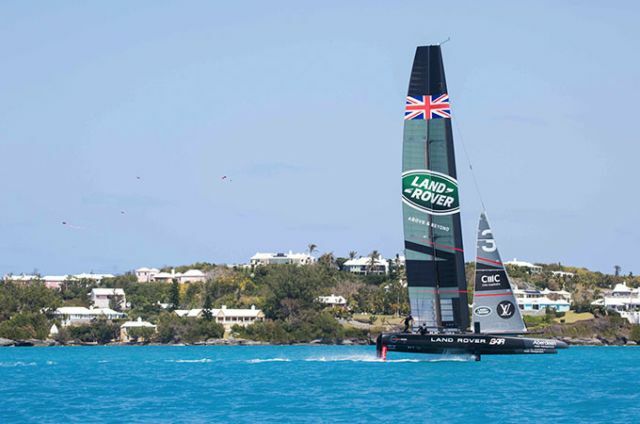 Land Rover BAR won the overall Louis Vuitton America’s Cup World Series title to put them in a commanding position going into the America’s Cup Final in Bermuda. 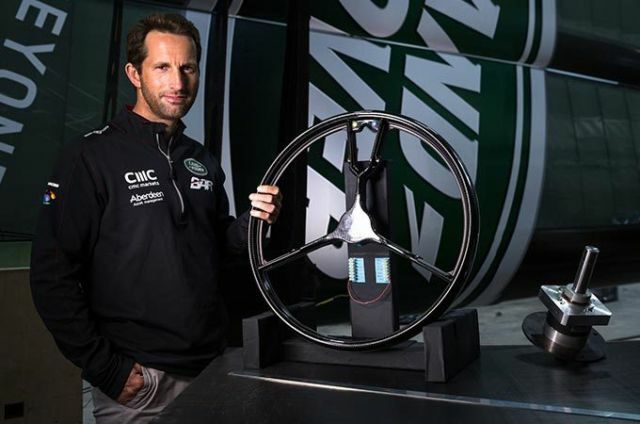 When Land Rover became both Title and Exclusive Innovation Partner with Ben Ainslie Racing in July 2015, together they launched a technology and innovation challenge, combining research and development capability to make breakthroughs and deliver the vital competitive edge on and off the water. Opened in 2015, the Land Rover BAR headquarters is the campaign base for Ben Ainslie and his team to launch their bid to bring the America’s Cup home to Britain in 2017. *The BAR app is currently only available in English.